At Ankeny Dental Arts, we love helping you smile. Dr. Hayden and his team provide the opportunity to transform your smile. Located in Ankeny, IA, we are your local, comprehensive dental solution for the entire family. Ankeny Dental Arts can help you begin your journey to a healthy, beautiful smile. We provide exceptional care for all of your family's dental needs. Your time is valuable. At Ankeny Dental Arts, you will be seen within 15 minutes of your appointment time. We keep your comfort in mind at all times. Our rooms offer massage chairs and televisions to ease anxiety and to create a tranquil, relaxing environment. The reception area features warm beverages, and a variety of lotions and scents are available to help you relax and feel at home. Dental health moves through many stages. We at Ankeny Dental Arts offer cosmetic dentistry options that perfect your smile & restore confidence. 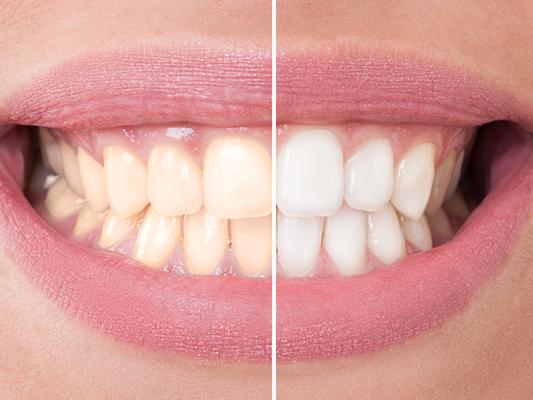 Teeth whitening at Ankeny Dental Arts means a whiter smile is well within reach. Find out how we quickly remove years of stain for brilliant results. Invisalign brings stealth straightening to you with thin, invisible trays. Ankeny Dental Arts experience puts a stunning smile within easy reach. My appointment was very professional, thorough and efficient. I was extremely pleased that no serious problems were discovered. As always, Abby takes care of my teeth and my anxiety!! She is absolutely the BEST at gently cleaning my teeth, explaining what's happening, and easing my anxiety! If you experience some anxiety going to the dentist, book with Abby! She's amazing! !